The jolly old guy with the white beard and red suit may is a Christmas legend. But dressing like Santa over the holidays is not the best way to make an impression on the fashion police. Back in the old days of black and white television, when automobiles ran on gas instead of electricity, men put on their best suit to celebrate Christmas. Unfortunately, that was a brown tweed six-button double-breasted beauty with wide legs and cuffs. Or, it was a gray two-button heavy wool suit with narrow pants and no cuffs. The best Christmas suits for men to wear nowadays are far more colorful and debonair. 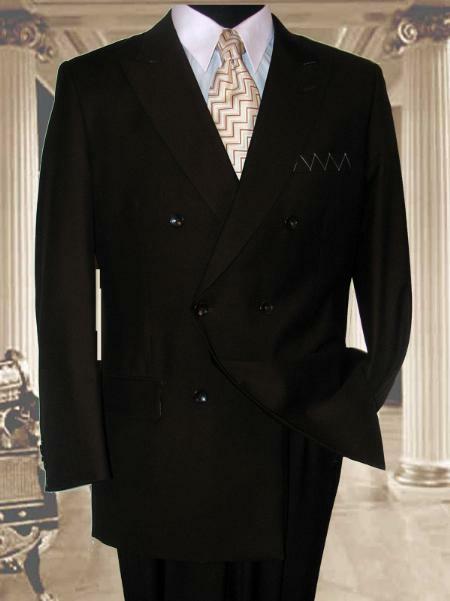 Black Wool Tuxedo on Sale for $176. The best Christmas suits for men these days show signs of those old days. Men still wear double-breasted and two-button suits on Christmas. 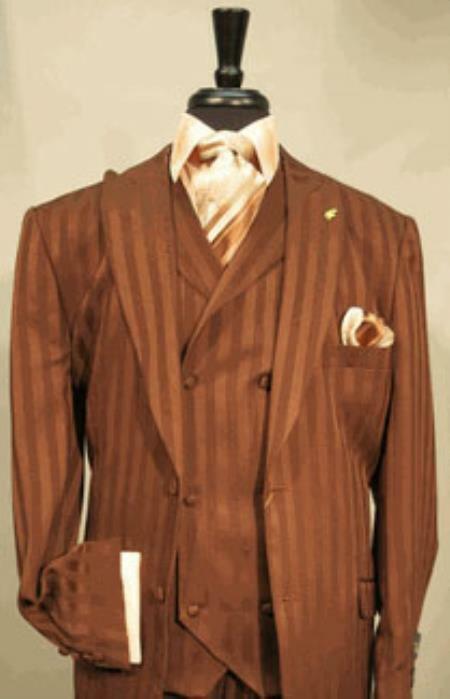 However, suits like the Zoot suit, Nehru suit, and the modern skinny suit are also great suits to wear over the holidays. Choosing the right suit that compliments a man’s body shape is the priority in today’s holiday fashion arena. 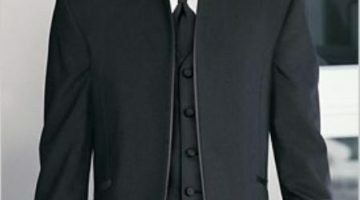 The tuxedo is still the number one Christmas suit for some men. 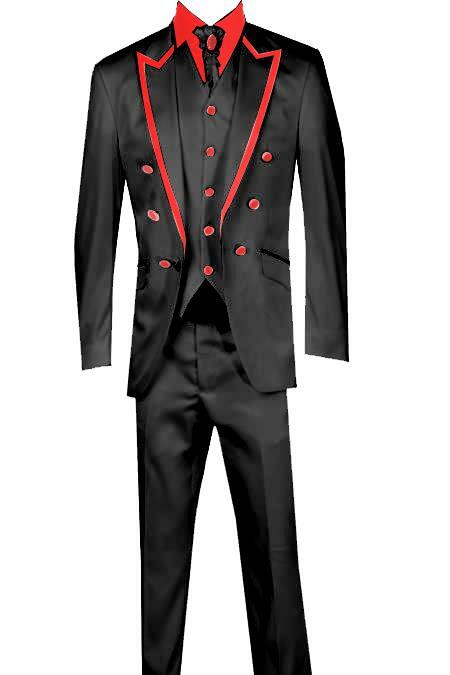 Those men jump at the chance to wear a midnight blue or black single-breasted one button tuxedo. And they love to add a white regular collar shirt and a tie-able bow tie. A double-breasted dark brown tuxedo is another Christmas choice. But, most men default to the black tux on Christmas Eve. Plum or deep blue, button up, shawl collar wool sweater. Pair of wide leg black or gray pants. The sweater and dress pants look is as important as a suit is for some men. But to be Christmas party-worthy, those men still opt for a three-button, charcoal wool suit with medium width lapels or a two-button cashmere. A black wool-blend, small plaid suit with a white or light blue shirt with French cuffs is also a holiday winner. Picking the best Christmas suit for men is a difficult task. 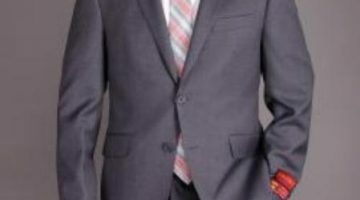 There are several “bests” when it comes to wearing suits during the Christmas season. 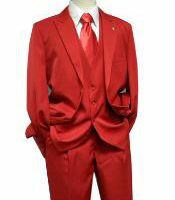 Still, the best Christmas suit is the one that makes you feel special, like winning the lottery on Christmas. 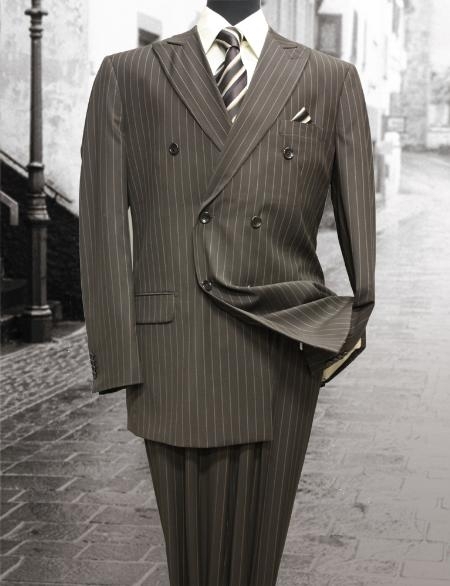 For Sant savings, check out our collection of Italian suits.